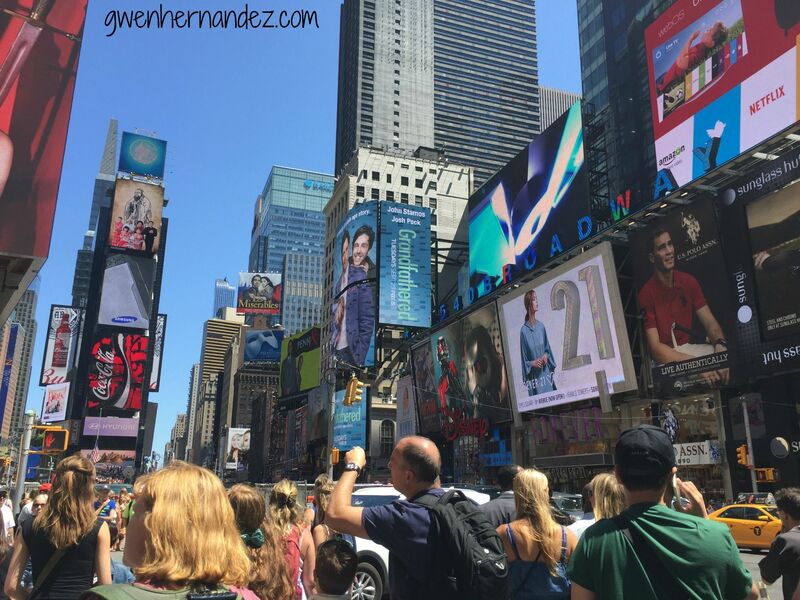 At the end of July and early August, I spent two consecutive weekends in New York City, mingling with my kind—aka writers, you know, the ones who understand why I stare at the wall and call it “working”—exploring the busy streets on foot, attending workshops, and giving my own presentations (on Scrivener and self-publishing). 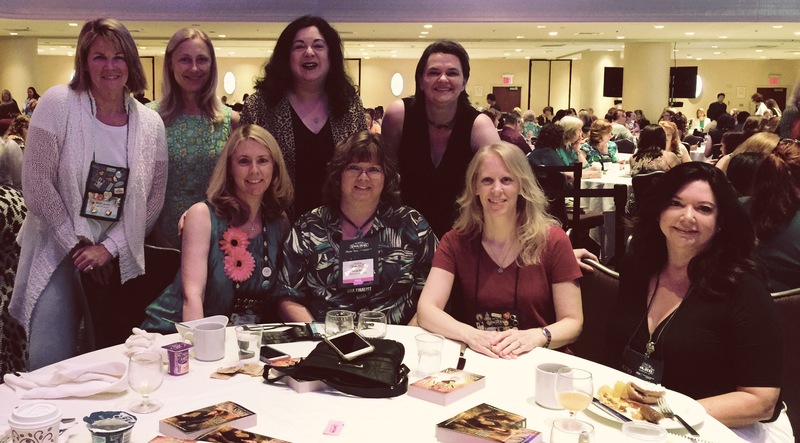 The first weekend, I attended the Romance Writers of America (RWA) annual national conference. Imagine 2000 writers and industry professionals, 99% of them women, talking plot, characterization, self-publishing, industry trends, writer’s block, query letters, and work-life balance. Can you tell I woke early and spent the morning on a train? 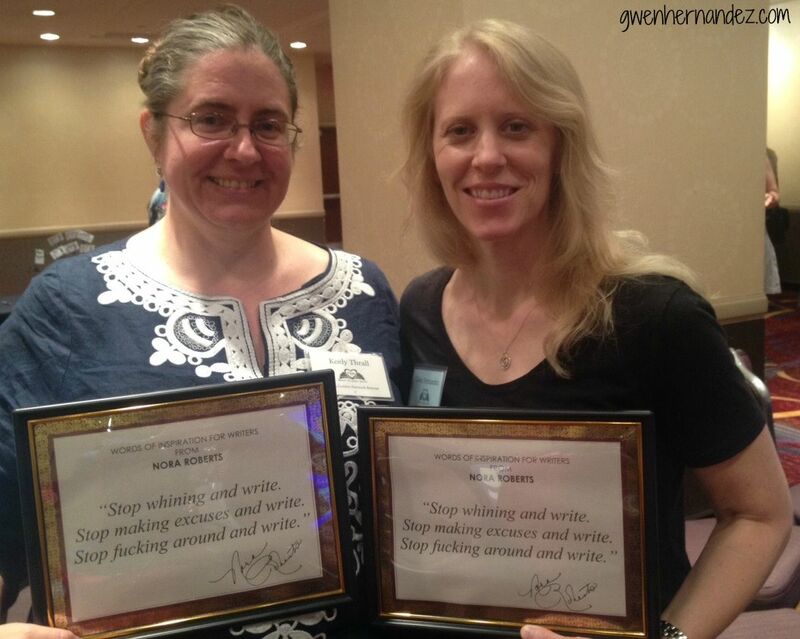 Keely Thrall and I won signed quotes from Nora Roberts at the Golden Network retreat on Wednesday. 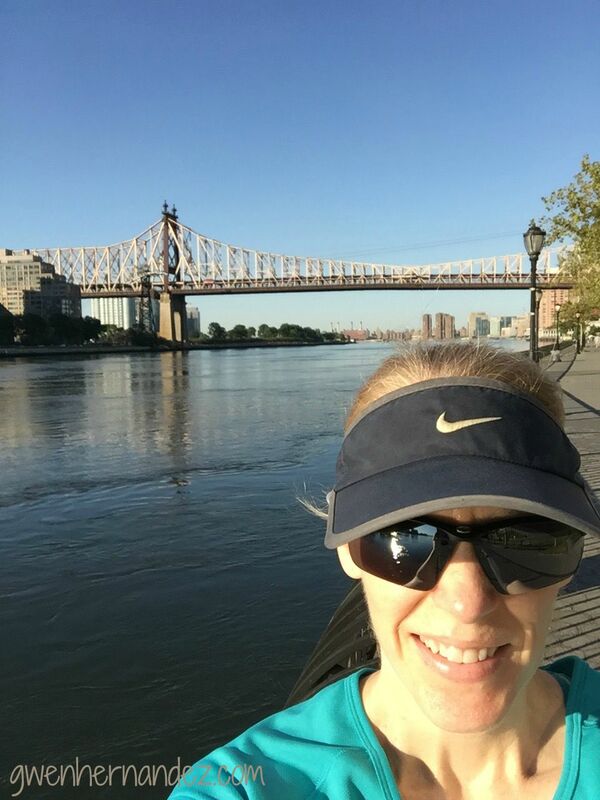 Running down Central Park West before the conference starts on Thursday. 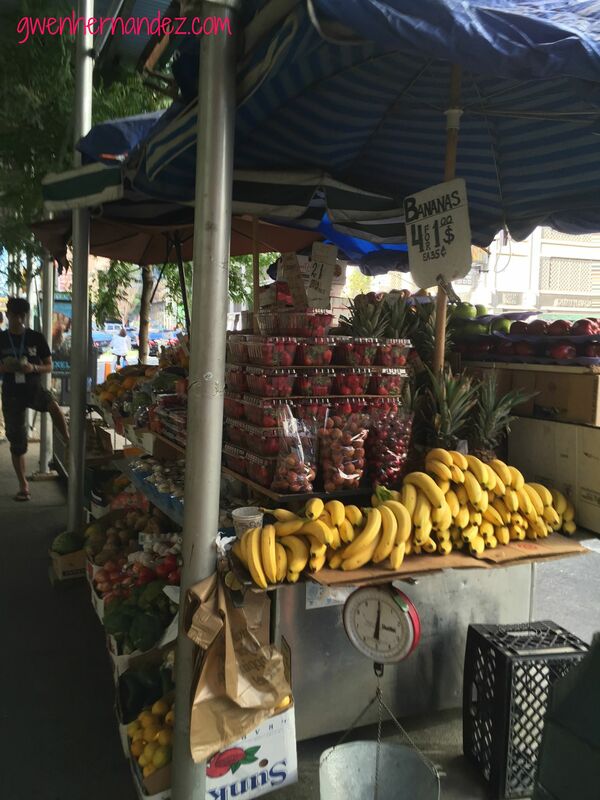 A fruit stand we found on 8th Ave in Hell's Kitchen on the way back from dinner. I loaded up on snacks. 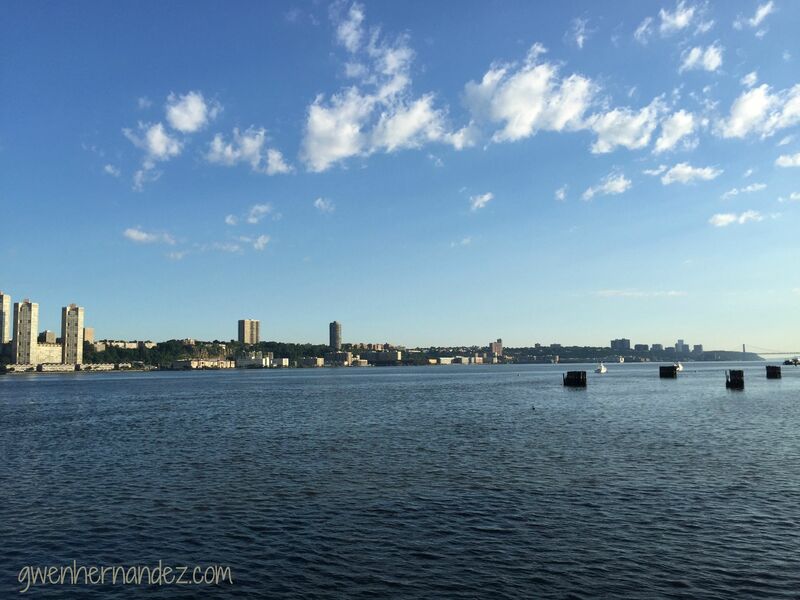 Running north on the Hudson River Friday morning. All but one of us from kissandthrill.com managed to attend RWA this year. It was great to catch up with each other in person. 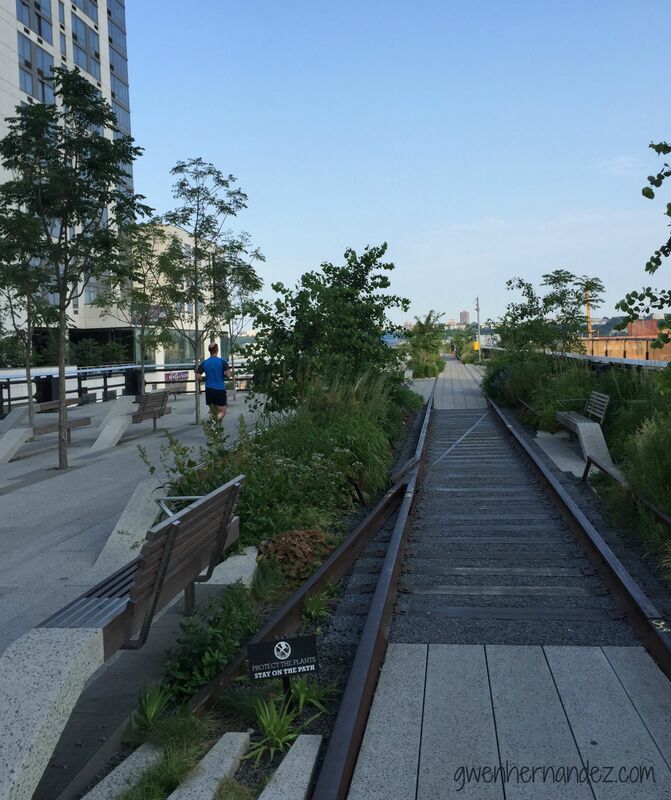 The Highline Trail (an old elevated railway turned multi-use path). 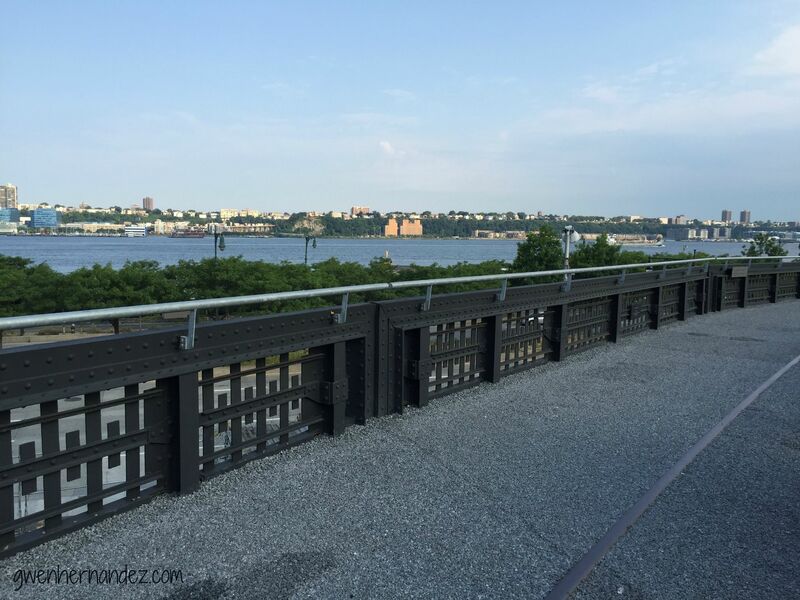 View of the Hudson from the Highline Trail. 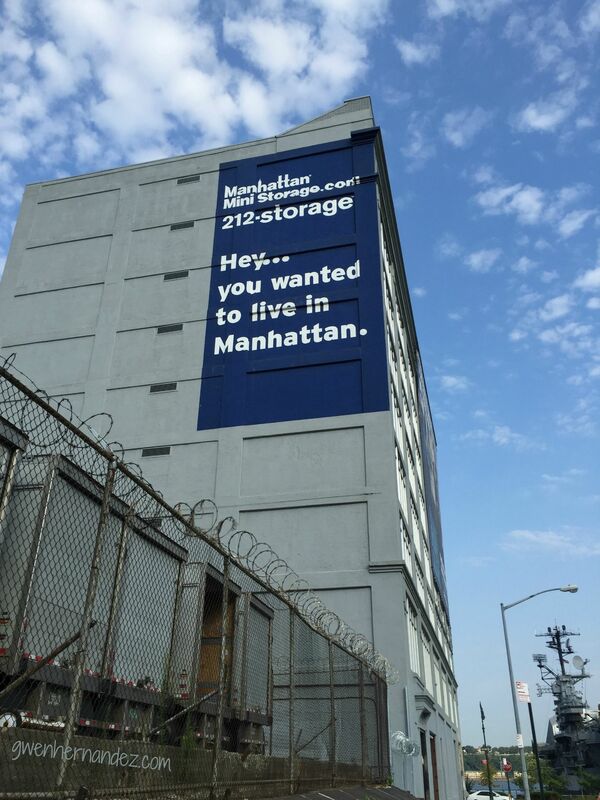 This ad made me laugh on my run to the Hudson River. You can just see the USS Intrepid at the bottom right of the picture. The following weekend, I returned for the annual Writer’s Digest (WD) conference, an event for all types of writers in both fiction and nonfiction. In my unscientific visual survey, the 800 or so writers, agents, and editors in attendance appeared to be split roughly 50/50 between women and men. That definitely affects the atmosphere (not better or worse, just different). Since WD is affiliated with a magazine rather than a membership organization, most people didn’t know each other—and many of them seemed to be earlier in their writing career—but everyone was friendly and excited. I met three people in the first hour, just standing in line to register (wrong line, oops) and sitting on the hotel’s mezzanine. Along with the workshops and keynote speakers, the pitch slam—like speed dating with agents and editors—was a huge draw. It was also nice being in Midtown East, which despite boasting Grand Central Station, the United Nations, Park Ave, Madison Ave, and the Chrysler Building, was far less crowded than the west side. 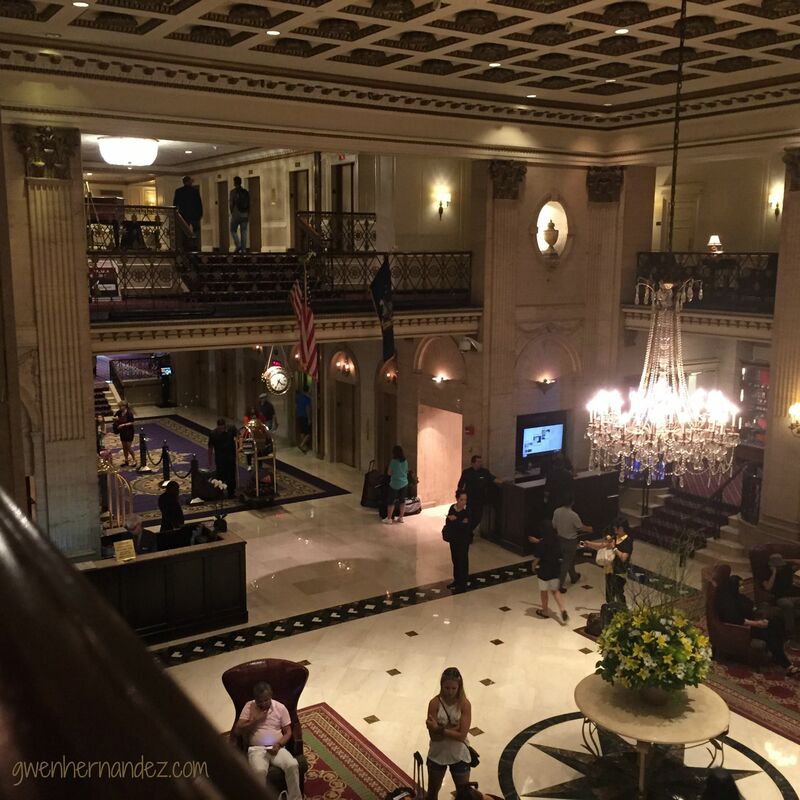 The lobby of the Roosevelt Hotel from the mezzanine level. 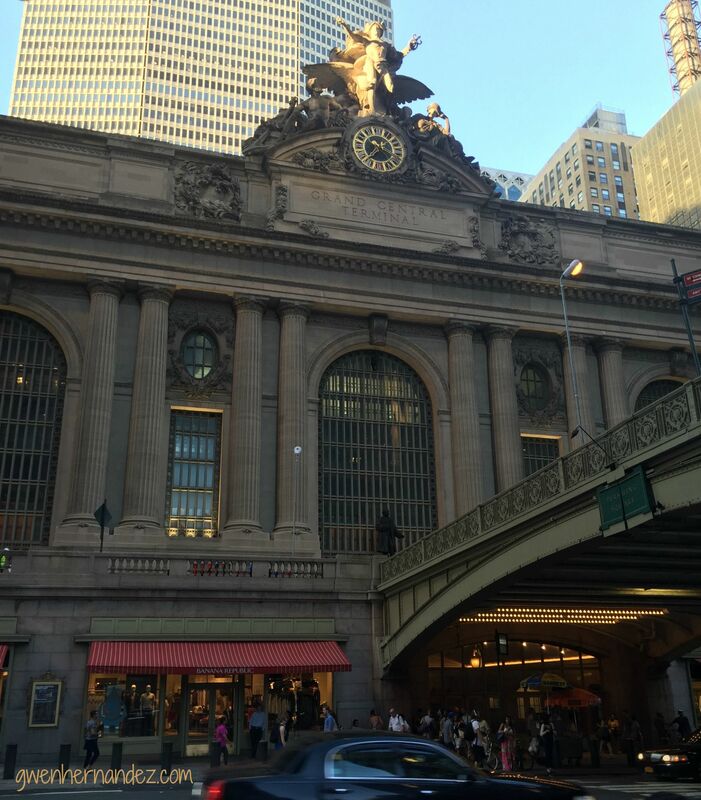 I stumbled upon Grand Central Station while walking down Park Ave on my way home from dinner the first night. 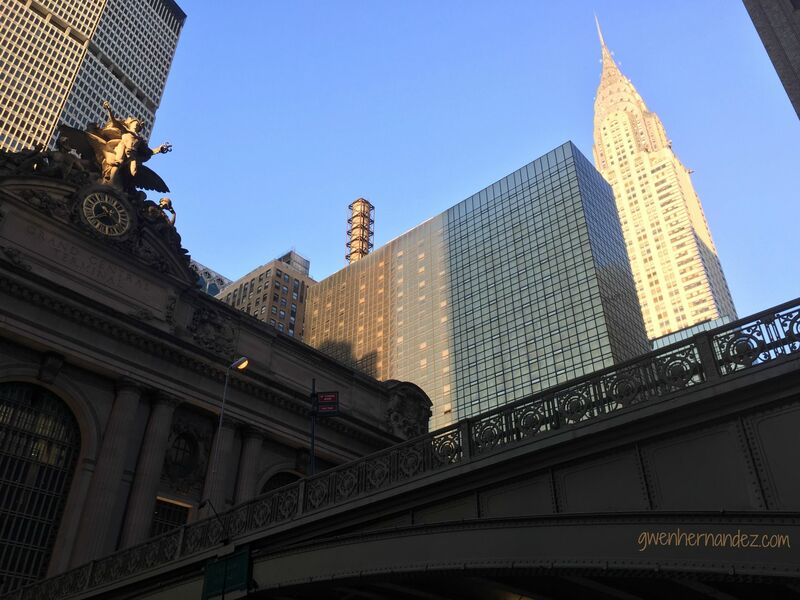 The Chrysler Building at sunset, towering over Grand Central Station. 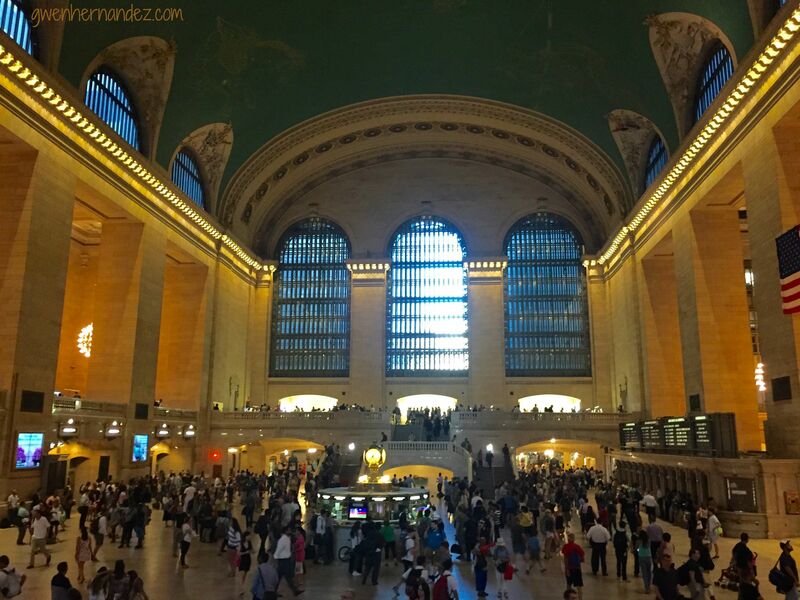 Inside Grand Central. There's even an Apple Store. 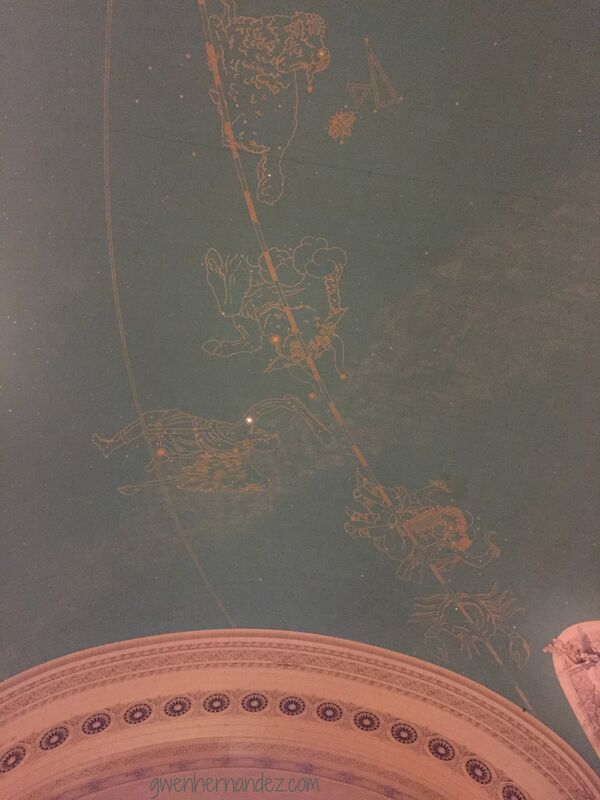 Part of the ceiling inside Grand Central Station. Zodiac signs in the stars. 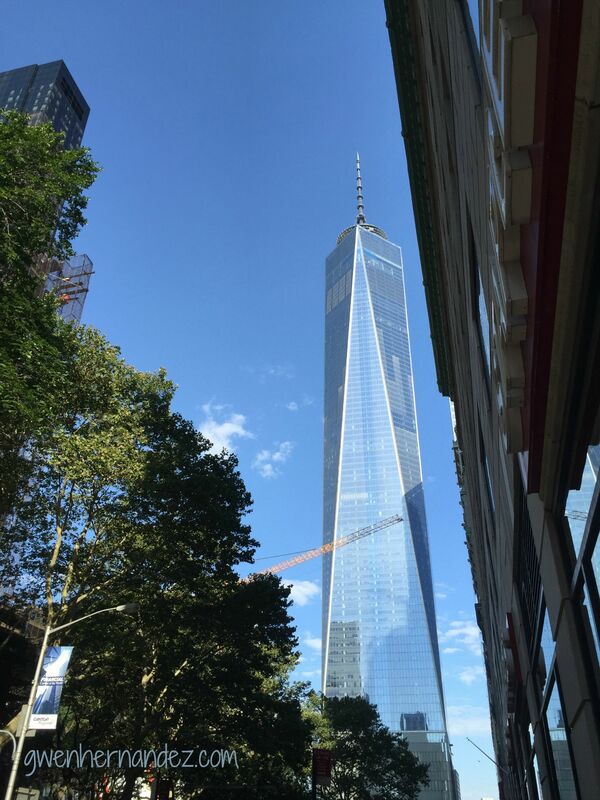 On Saturday morning I ran down Park Avenue–which was closed to cars for the morning–to the Brooklyn Bridge, then veered west to find the Freedom Tower and World Trade Center Memorial. 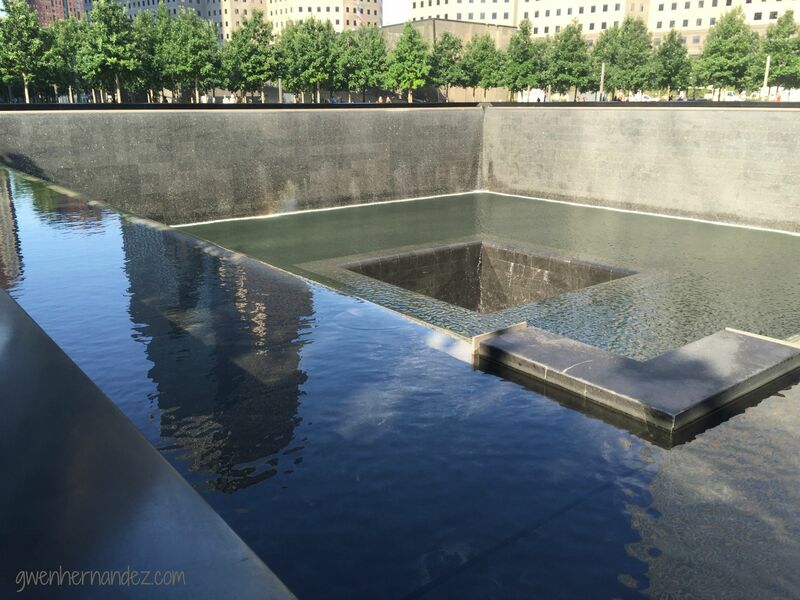 World Trade Center Memorial, north pool. I was surprised how small the footprints of the WTC buildings were. 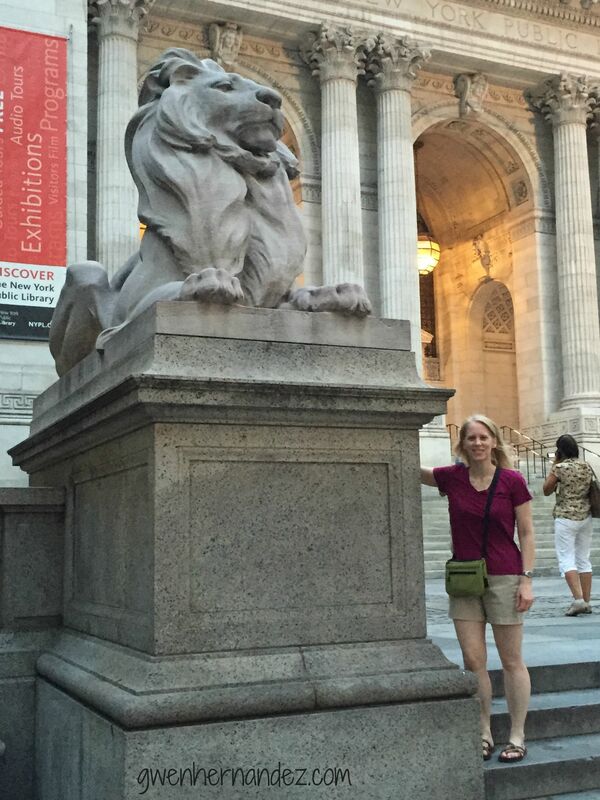 Hanging with Patience the lion outside the NY Public Library on 5th Ave. 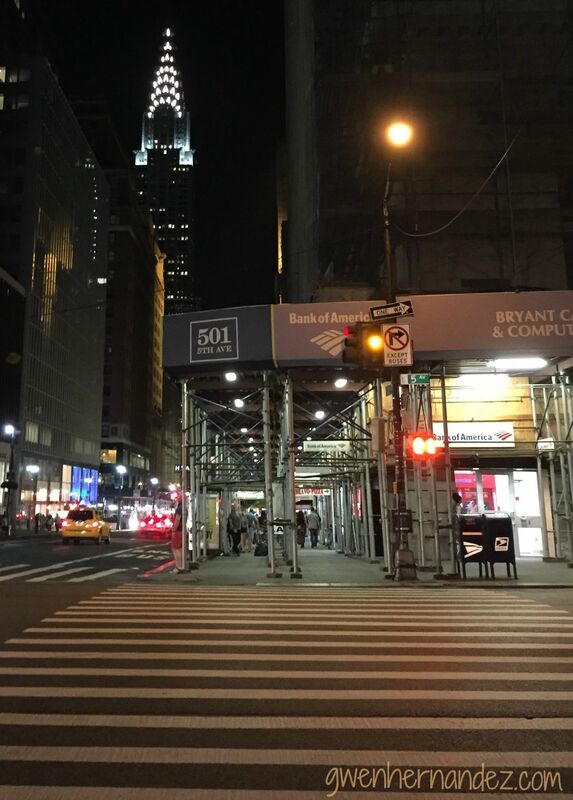 The Chrysler Building at night from 5th Ave.
Running on the East River on Sunday morning. Back-to-back weekends in Manhattan was definitely exhausting, but I squeezed as much as possible out of both the conferences and the city. I had a fantastic time, reconnected with old friends, made new friends, learned lots, and came home motivated and inspired to get back to writing in my quiet little suburb. Well, this is what a call a very interesting review of two beautiful week-end. Thank you Gwen to share your fun and your knowledge. I love your blog and your descriptions. I’ve done business trips to New York City several times but I will never know it well. I’m curious — at the conferences, did others discuss using open source writing software vs. Scrivener? I have about 5 different projects on Scrivener right now, but as a software developer I’m always interested in alternatives, and I wonder what your peers are using. Make no mistake — I get a lot out of Scrivener. The courses I took with you earlier this year were a great help. I do need to retake the compile class and will sign up for it. 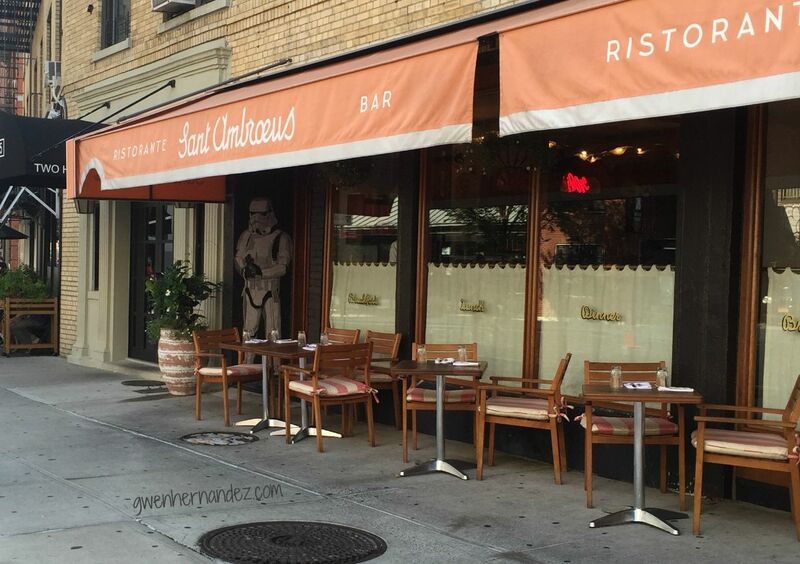 Bob: I’ll never know NYC like a native, but it’s fun getting familiar with different parts of it. I haven’t heard discussion about open source writing software in any capacity. For most writers I’ve talked to, they either use Word, Pages, or Scrivener. Thanks! Looks like you had a great trip and awesome double conferences! I love NYC. It’s my favorite city. 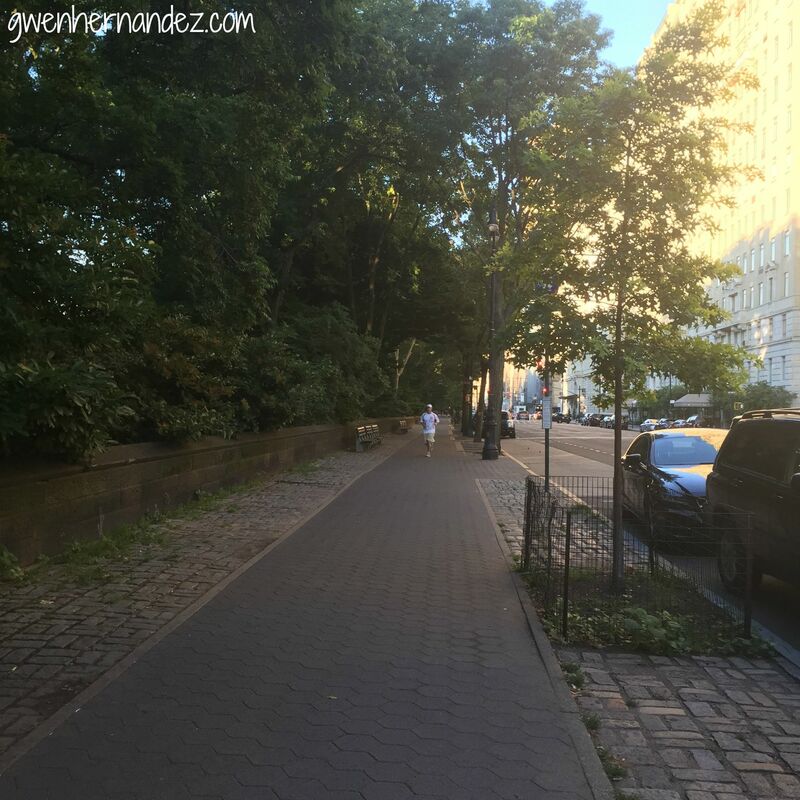 New thought: Gwen, have you tried bicycling in New York? I should have expected you to go there, Bob. 😉 I’m not sure I’m brave enough to ride a bike in New York! But they do have those CITI bikes in various places. Also, there were swarms of cyclists when I ran through Central Park. You’d probably love it! Ha, thanks, Curtis! Good music choice, though we had amazing weather when I was down there, especially the first weekend. Very mild. I had a great trip, both times. For the RWA weekend, I took Amtrak for the first time. Very nice. Hi Keely, can you exlain what is a Nora quote ? I’m very happy Gwen that I took this class a second time with you. I like every thing that I get out of it. Thank you very much.